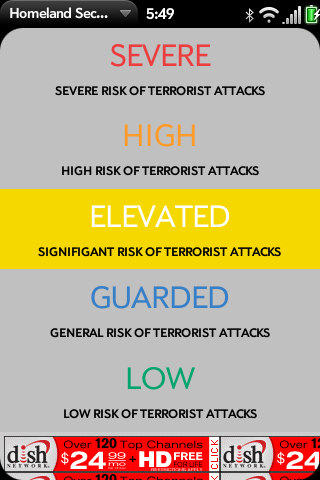 "US Homeland Security" is a simple app that will display the current US Terrorism Threat Level as designated by the US Department of Homeland Security (DHS). Data is retrieved directly from DHS servers. Tap the level for more information.